This is the latest episode of the syndicated FuseBox Radio Broadcast with DJ Fusion & Jon Judah for the week of June 10, 2009 with some new and classic Hip-Hop & Soul Music, news and commentary. Our commentary this week focused on the passing of Blues Music Legend KoKo Taylor, what is REALLY important folks should get out of Jay-Z’s “D.O.A. (Death of Autotune)” track, 21st Century economic class issues in the Black Community and some other things here and there. 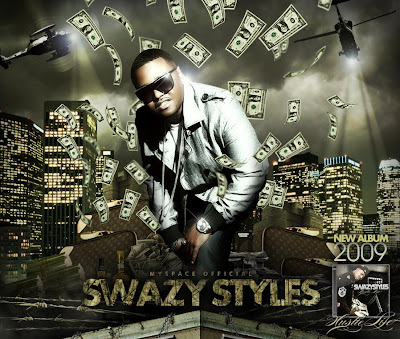 This week, we had a great interview with independent Hip-Hop artist on the rise Swazy Styles (http://www.myspace.com/swazystyles). Some of the topics we covered with this talented MC included his foundation growing up and getting into the music industry in New York City before moving to Florida, the difference between the NY & FL music scenes, the overall grind a successful independent artist needs to make to have a solid foundation, his upcoming mixtape & album projects, how staying grounded is a great thing overall in life, much less entertainment and more!